A young girl living on a Kansas farm dreams of escaping her mundane life. When the family’s mean neighbor threatens to impound the girl’s cherished dog, they run away. Suddenly a cyclone hits, and while seeking shelter in the house, they are transported to the Land of Oz. In Oz, they meet several iconic characters of this beloved story and embark on a journey where she and each of her new friends must discover that they are stronger, smarter, kinder than they thought, and that home is just a couple of heel clicks away. One of our culture's favorite fables, we learn so much from Wilbur's journey: there comes a point when the hero must stop worrying about what to do, how to overcome the obstacles in his way, and just do what must be done. But first he integrates the wisdom he has learned from Charlotte--his friend, mentor and teacher. A loving send-up of the 1960s, small-town America, teenagers, and rock & roll, BYE BYE BIRDIE remains as fresh and vibrant as ever. Teen heartthrob Conrad Birdie has been drafted, so he chooses All-American girl Kim MacAfee for a very public farewell kiss. Featuring a tuneful high-energy score, plenty of great parts for teens, and a hilarious script, BIRDIE continues to thrill audiences around the world. Script: TAM-WITMARK MUSIC LIBRARY, INC.
A small group of people help Jesus Christ tell different parables by using a wide variety of games, storytelling techniques and hefty doses of comic timing. An eclectic blend of songs, ranging in style from pop to vaudeville, is employed as the story of Jesus' life dances across the stage. Dissolving hauntingly into the Last Supper and the Crucifixion, Jesus' messages of kindness, tolerance and love come vibrantly to life. 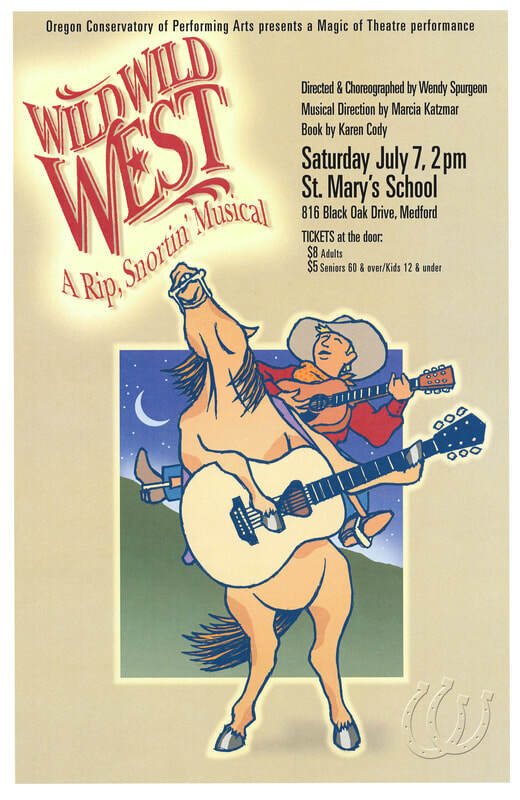 Based on the ever-popular, award-winning 1970s cartoons, this fast-paced musical teaches lessons with clever, catchy tunes. 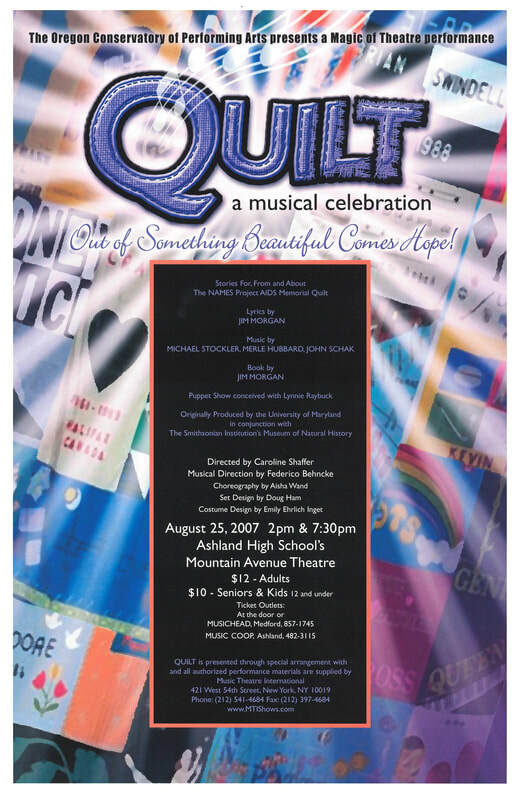 A loose, revue-like structure in this energetic musical, which Tom, a young schoolteacher, who is nervous about his first day of teaching. He tries to relax by watching TV, when various characters representing facets of his personality emerge from the set and show him how to win his students over with imagination and music. 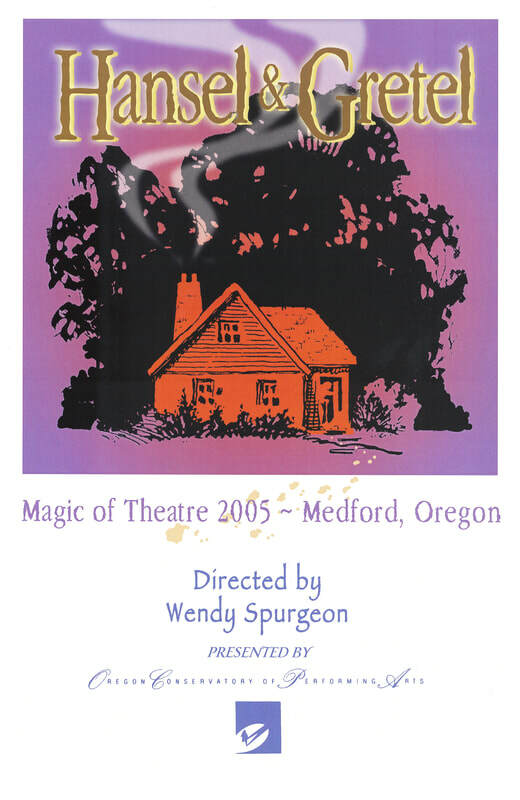 When Hansel and Gretel are sent into the woods, they encounter some marvelous folk — an arrogant troll, a talking owl, a forest sprite, and two hobgoblins in the service of a witch. Tremble for Hansel as he’s locked in a cage and fed nothing but fudge and cake. Cheer Gretel as she outwits the crone and sets free all the lost children who have been turned into cookies! All the moments are here, from the night spent in the woods to the discovery of the candy-coated little cottage. 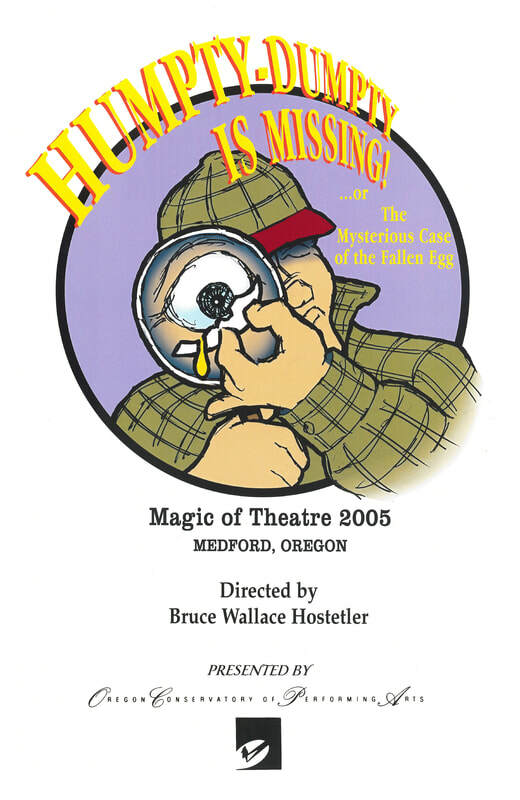 An affectionate spoof of the private-eye thrillers of the 1940s and '50s and an exciting, funfilled way to introduce young audiences to this classic genre. Sammy Scoop is a private investigator in the tradition of his grandfather, Samuel Shovel and his father, Sam Spade; he faces the biggest challenge of his illustrious career with the sudden fall and disappearance of the jolly Humpty-Dumpty who apparently had no enemies. The young students in this dreamlike musical try to answer that question by exploring the present, the past, and the future. They find that what matters isn't time as a specific unit but rather how people feel about it. What is time to you? Guess you will have to see for yourself! "You want fame? Well, fame costs. And right here is where you start paying." "Right here" is the School of Performing Arts in New York City, and the first problem for the hundreds of young people eager to start paying their dues in pursuit of fame in the performing arts is to get accepted. 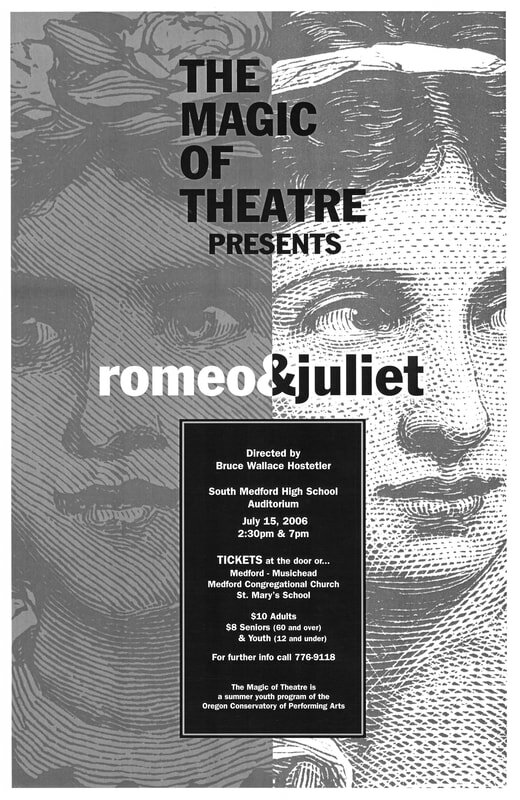 The dramatic riches explored and developed in this play as the various students interact with each other and with their teachers—who must present a tough exterior but who care so very much—create an exciting theatrical tapestry in this useful and fulfilling play. While a great wizard scours the Jewel Kingdom to find Princess Roxanne, the evil Darklings plot to seize her throne. 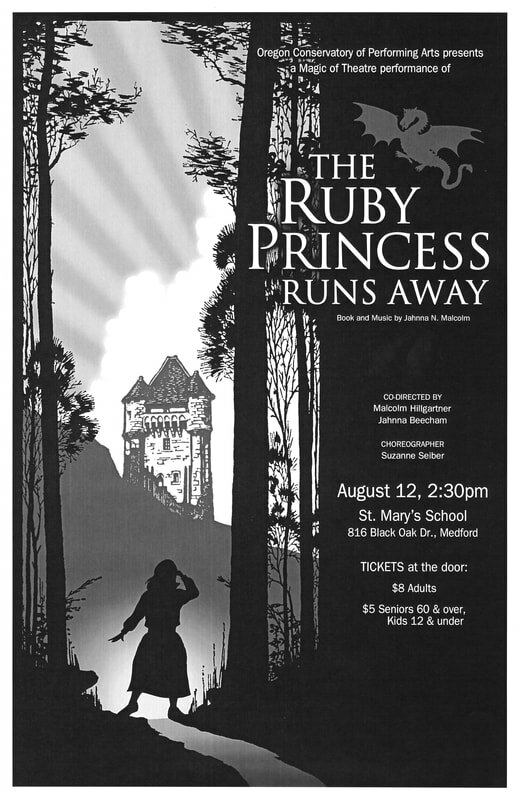 Only the princess and her friends can stop them! Based on the best-selling children's book and award-winning film, this fun-filled musical is rich with magical creatures, rollicking comedy, and delightful songs. 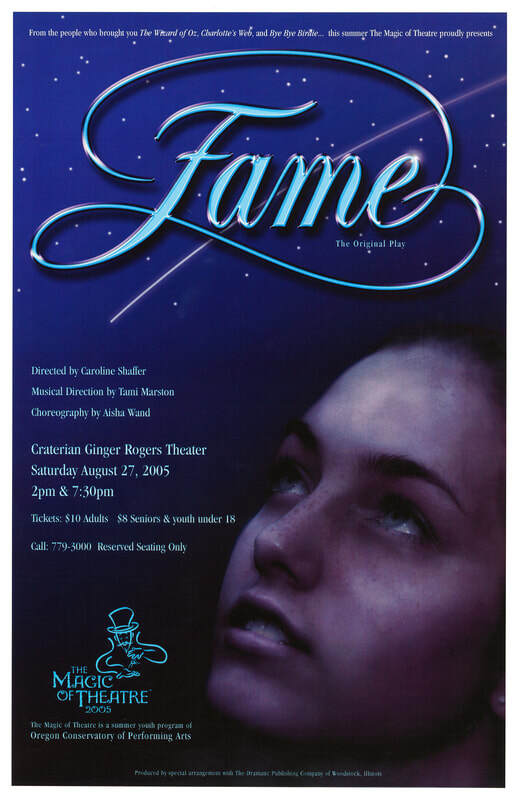 Shakespeare's tragic and extraordinary drama of the star-crossed young lovers comes to life. 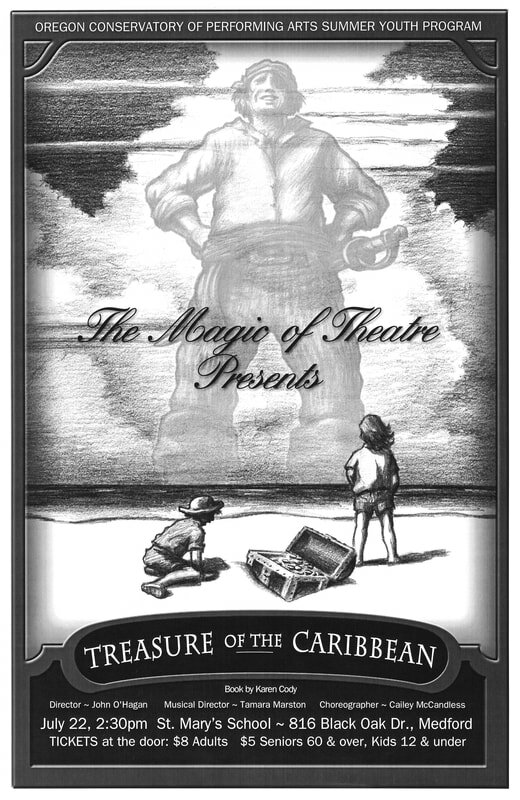 An original play, writen for OCPA by Seattle playwright and award-winning Broadway actress Karen Cody. 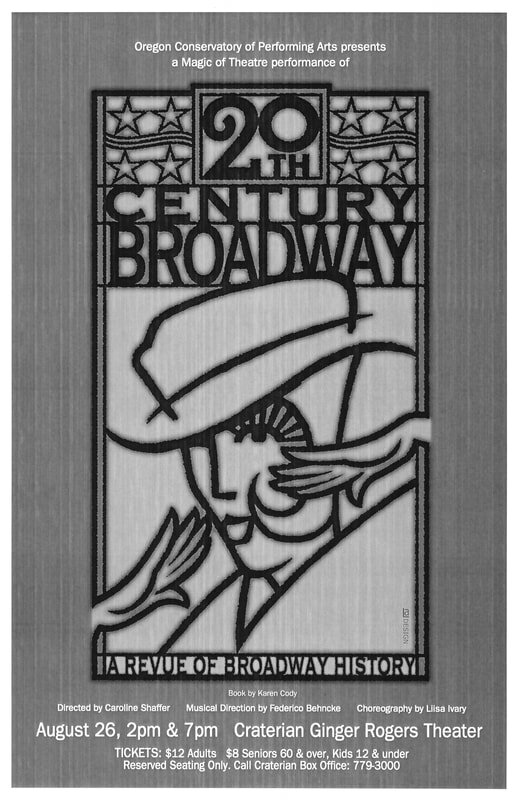 While singing and dancing in the footlights, we learn how the popular entertainment of Broadway both shapes and is shaped by histroical events. Celebrating culture through speaking words of great authors and singing some of America's most beloved songs. This classical Shakepeare comedy portrays the events surrounding the marriage of Theseus, the Duke of Athens, to Hippolyta, the former queen of the Amazons. 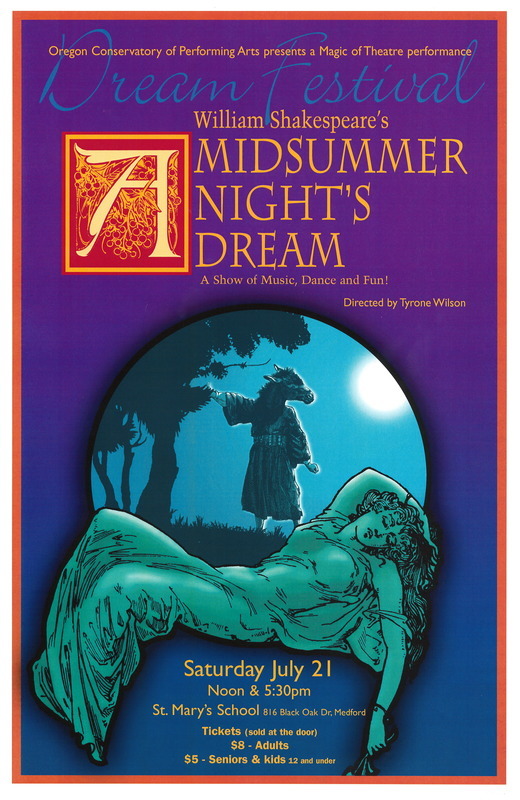 These include the adventures of four young Athenian lovers and a group of six amateur actors (the mechanicals) who are controlled and manipulated by the fairies who inhabit the forest in which most of the play is set. 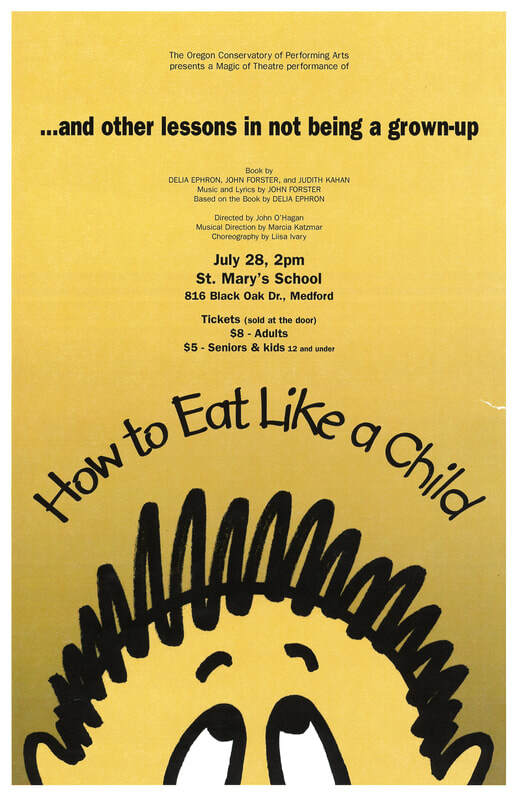 This musical romp through the joys and sorrows of being a child is hilarious. Children give twenty-three lessons in such subjects as how to beg for a dog, how to torture your sister, how to act after being sent to your room, and how to laugh hysterically. The pace is fast, the tone subversive, and the recognition instant. A series of stories for, from and about the Names Project AIDS Memorial Quilt, which has been called "the most powerful piece of spontaneous art ever created." 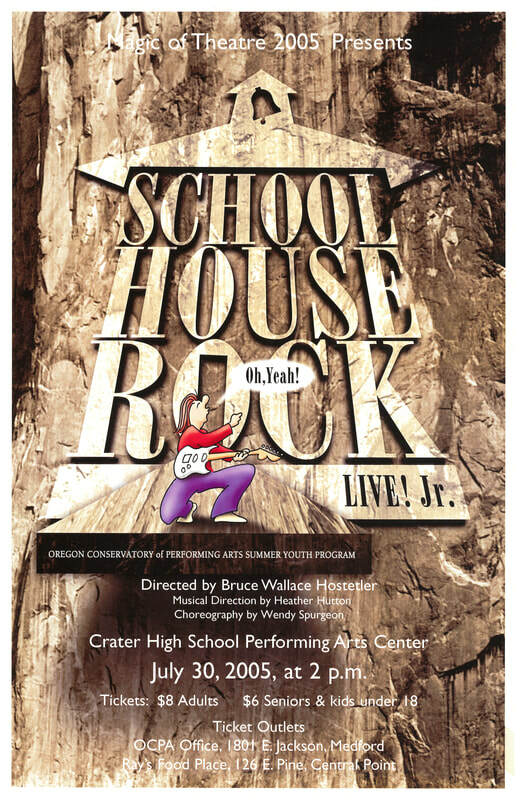 An edgy and uplifting musical, with a provocative script: relevant to our teens and our times. 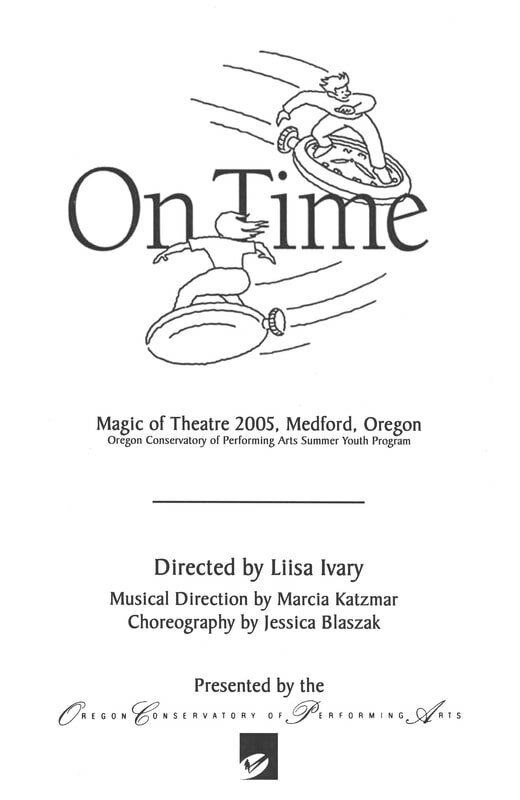 Was also performed on the Oregon Shakespeare Festival's Elizabethan stage as part of the Daedalus Project.